Suzie Liles has taught weaving for 30 years. Suzie is very enthusiastic and loves to share her knowledge. 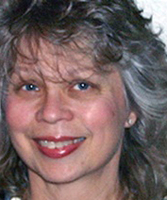 She has taught workshops and seminars for adults and children in the United States and Canada. Suzie has a MFA in Fibers from the University of Oregon. She is a member of the Handweavers Guild of America, Surface Design Association, and Spinning and Weaving Association. She is very active in the fiber arts community. She is the Owner of Eugene Textile Center and Co Owner of Glimakra USA also in Eugene Oregon. A whirlwind of artistic energy … Janis is always exploring and sharing information about her fibery adventures. 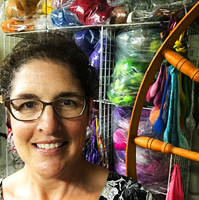 She teaches at Eugene Textile Center, guilds, and at festivals in and around the Pacific Northwest. Having briefly learnt to weave from his father at the age of 18, Jason returned to the discipline 6 years later and setup his own workshop in 1986, located in Nayland, Suffolk. Over the last 29 years Jason has woven to commission somewhere in the region of 2000+ rugs. Mostly for private clients, though also for some corporate clients, and worked with numerous architects and interior designers. Large commissions include a series of 24 rugs for the Sheraton hotel in Dar-es Salaam, in Tanzania; and a series of rugs for a castle in Switzerland. Exhibitions include a one man show in Amsterdam, and two man shows in Oxford, Connecticut (USA), and Portland (USA). The rugs can be woven to any size and colour way, are strong and durable for use on the floor, but equally can be used as wall-hangings. In addition to designing and weaving, Jason spends 3 - 4 months each year teaching at various art schools in America, Australia, Canada and Europe. This has led to Jason having his own brand of rug wool in America, as well as instructional DVD's and publications. Judy Ann Ness is a tapestry artist and fiber arts teacher in Eugene, OR. She is primarily interested in color in weaving, spinning and dyeing. Her tapestry work is usually figurative with feather forms or landscapes often featured. Judy’s special interests are in Norwegian textiles and Diné (Navajo) weaving. Her students are encouraged to participate in an atmosphere of fun while exploring their unique voices and nurturing the urge to create. Marilyn Robert has worked in the field of textile design and fiber art since the 1980s. She earned a Master of Fine Arts degree in Fibers from the University of Oregon. She has been the recipient of grants and awards, including a Japan Foundation Artist Grant in 1997 to travel in Japan for study of traditional indigo-dyed textiles and contemporary fiber art. Her artwork is exhibited internationally. She is the author of several articles about textiles, and enjoys curatorial work. She taught for thirteen years at Lane Community College as head of the Fibers program, and as an adjunct Fine Arts professor at the University of Oregon, both in Eugene, Oregon. Marilyn is the co-founder of Eugene Textile Center and currently travels, lecturing and teaching workshops. In 2001, she organized a textile tour to Turkey, where she returned in 2012 for the First International Textile Conference in Istanbul. She teaches both surface design techniques, such as dyeing, printing, mechanical and chemical manipulations of cloth, as well as handweaving. Marilyn is passionate about dyeing with botanical dyes and continues to teach and to learn more about this, her favorite subject.